So you’ve worked hard and built a website. When you started building it you probably didn’t know that building your quality website is only half the way. The first most important factor is quality, unique content. The second is SEO and backlinks. If these are not living in harmony, chances are you will not have much success with your website you worked so hard on. So one day you browsed a forum or read a blog post and you started to wonder why your website is not receiving any traffic. A website without traffic is worth just as much as your poop whom you flushed down the toilet. Without traffic your information can’t be spread around, you can’t make sales or you won’t get adsense revenue. Whatever your future objective is, this post will help you achieve better results. Probably the same day you asked the question why you are not getting any traffic, you received the answer you were looking for. Build backlinks. Everyone is talking about the same thing, build backlinks. Digg it, stumble it, exchange links with bloggers, do some directory submissions. You’ve now come to the point where you have probably heard this a hundred times, but none really explained how to do some advanced back linking. And you already did this basic stuff. These people either don’t know what they preach or are keeping secrets! 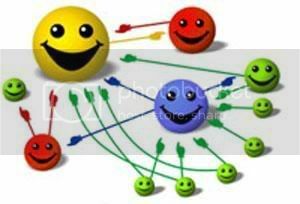 Some of these techniques will show you pages related to your own webpage where you can get a free one way backlink. The web is moving forward and nowadays the importance of content related links is only growing. When you excercise these techniques, the most important thing you must remember though is not to spam. Read before you post and make useful comments. This will not only help the website owner where you are posting, but also increase the chances of your link actually staying there and not get deleted. The only thing you must remember when using these techniques is your proper anchor text. An anchor text is a clickable word with your url. So be sure to use your keywords when linking. Almost all of these websites are do-follow but I have included a few no-follow and websites that use their own dynamic link form, simply because they will bring you traffic if your website/article is good. Some people are concerned about this method being spammy. What you need to know is that these are social bookmarks and not story submission service like Digg. The key difference is that with story submission services you are unloading your content onto other people for their approval. Using purely bookmarking sites, your bookmarks are your own for you to do with as you please. a) You need to download FireFox. FireFox is an internet browser that most professional webmasters use. It’s free, you will browse with it faster and a lot more secure. You will also need it to analyze competition with a special plugin (also free). So before you continue, download FireFox. b) If you haven’t already, then register at these above social bookmarking websites. It will take a few minutes of your time, but this process only needs to be done once. c) When submitting your links you need to make sure you are posting your bookmark as public. How you do this varies from website to website. Some will have a check box saying something like “public bookmark” or “private bookmark”. Check or un-check it accordingly. Others have a option in your account settings. Whatever you do, make sure your link is public. Now you’re ready for submission. But we want to speed up the process of course. Visting all the sites individually and typing same information over and over again, can not only be time consuming but at times painful. So what we need is an automated tool like MemoKeys. MemoKeys pastes your Title, URL, Description and Tags into the relevant forms with a click on your button. It works by a combination of two keys – a control key + secondary key. Which ones you will use is your own free choice. Then as you go through the sites, just press the keys instead of typing or copying & pasting. This is a must because it saves you a lot of time. Before you go completing these forms, relax. There is a tool called Social Marker. It allows you to type in the details (name, url, tags, description) just once and then it brings up the submission pages for each site you have selected and you just click through them .It supports most of these social bookmarks, so check those that are listed above. The others that are not supported are bookmarked inside FireFox. When saving your bookmarks make sure you save the URL of the submission form, not the homepage! Put all these websites in one folder and click on “View -> Sidebar -> Bookmarks”. A tab will display on the left, allowing you to quickly go through the websites and submitting your bookmark. If you’ve done all the steps properly you should save your bookmarks to all the websites in about 10 – 15 minutes. These are the tree top forum scripts. You can use similar techniques for forums using other scripts than phpbb, vbulletin or invision. You can find webpages and insert your links everywhere if you look for traces of repetition. Every script is repeating a certain process or leaving a mark. If you know these marks, find them and you can legaly post your link. Just don’t spam. Your links won’t last. Help others build content and they will help you. When it comes to building back links through blog commenting the right free tools can save you an enormous amount of time. Yup, thats right you’re gonna need to download something again. But I wrote this article with budget in mind, so like everything else here this software is free. RealLinkFinder lets you find on-topic blogs where you can leave your own comments and a “real” link back to your website. Nothing more to explain here. Instructions on how to use it are on the website. All you need to do now is start commenting. As always don’t spam. You don’t like spam on your own blog too. I included this as the last one. Not because it would be the least effective, on the contrary! However when it comes to article marketing you have two choices. One of them is easy and fast, the other is free. If you are going to go with the free way, you are gonna need to repeat some steps discussed in “do-follow social bookmarks” submission. With MemoKeys you will assign texts to your keyboard shortcuts, save the article directory websites in your bookmarks and submit manually. If however you choose the paid way, you will post automate this process and in the long term save hundreds of hours. If time is money to you, you will go the paid way with Article Submitter. Article Submitter submits your article to 650+ article directories quickly and easily. With semi-automatic submission you can focus on writing content, not submitting it. On their companies website they also have similar SEO software like website submitter and article spinner. Whatever way you choose, you must remember when you create your article you must add in the resource box your links and anchor text. In this way your anchor text will exist in any article you publish and give you a back link. Some people are confused how to insert links into articles and publish them to directories because you can’t put a link inside your article text. You solve this issue by inserting your link and anchor text in the resource box where HTML code is allowed. These methods should give you enough ammunition for years to come. I would recommend to use a little bit of everything. When acquiring backlinks be sure not to overdo it! You can do more harm than good. Imitate a natural process, meaning go slowly. Now that you know how to build backlinks in a more advanced way, you really should start working. Implement what you have read. Knowledge without action can’t bring any results. It’s best to bookmark this article, so you can return to this post if you forget something. Whether you are a marketeer, publisher or work in the SEO field there is one tool I would like to tell you about. It’s a FireFox plugin and yes it is free. If you still haven’t downloaded FireFox, here is another reason you absolutely need to. Search Status For Firefox! To explain all the benefits of this plugin would be a topic for another post, but basically what it does is highlight no-follow links (hint! ), shows Alexa and PR of the webpage you are currently visiting, shows meta tags…If you’re serious about what you are doing, you should get and install it. Small and simple, but very effective.